When I handle a case as an Albuquerque car accident attorney, I do everything in my power to ensure accident victims and their loved ones receive the compensation they deserve. Often, fighting for a fair settlement offer from the insurance company is the best way to get my clients the funds they need. 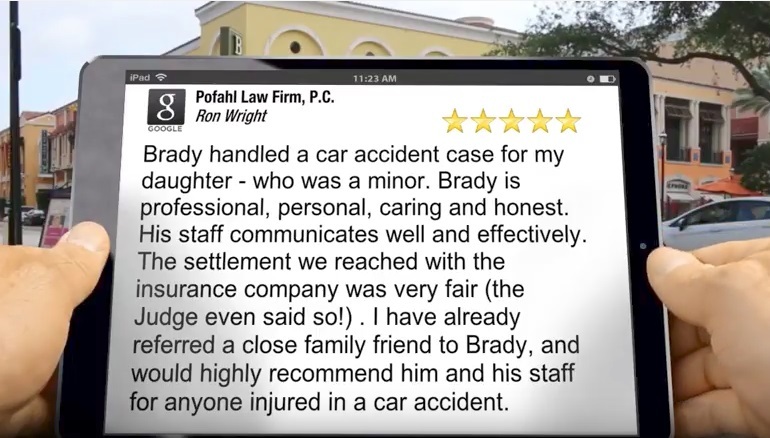 As seen in this YouTube review and client testimonial, previous clients have been thrilled with the settlement they received from the insurance company since I do not stop working until the settlement offer is fair. Here are a few reasons why fighting for a fair settlement is often in the best interests of my clients. Even if your lawyer is confident that your auto accident case can be won in court, it may take years for the case to go to trial while pursuing settlement negotiations may get the claim settled more quickly. This is particularly true when a loved one’s injuries will require months or years of hospital bills and treatment. If the case goes to court, receiving a favorable verdict does not mean the injured party will receive compensation right away, especially if the defendant files an appeal, dragging the process out even further. Simply put, when compensation is needed as quickly as possible, it is necessary for the injury victim to complete medical treatment, allow your accident attorney to request and pay for copies of your medical records and bills and draft a detailed settlement demand on your behalf. Whenever the facts of a case are in doubt, it may be best to try to settle your case. You never know what a judge or jury could do even if you think that the facts of your case and the legal application of those facts can only end favorably. Settling out of court gives clients the peace of mind to know the exact outcome and terms of the agreement before signing, which is a benefit that simply isn’t possible when the case goes to court. When my clients value their privacy, I remind them that court cases and trials are a matter of public record, whereas settlements can remain private. In summary, reaching a fair settlement is often the right choice for my clients after an Albuquerque car accident. Don’t be afraid of insurance companies lowballing you on the settlement offer. If you wish to settle, rest assured nothing will be signed until you approve in writing. If the insurance company does not offer a fair settlement then we can file a lawsuit and pursue the claim in court all the way to trial if necessary to make sure that you either receive compensation through a fair settlement or a full trial to let the jury decide what is fair. You deserve a dedicated personal injury attorney with almost two decades of experience and a proven track record of not only fair settlements but verdicts at trial. I look forward to speaking with you about your personal injury case. Contact me for a free, no-obligation legal consultation to speak with me personally to discuss your case with a dedicated car accident attorney in Albuquerque.